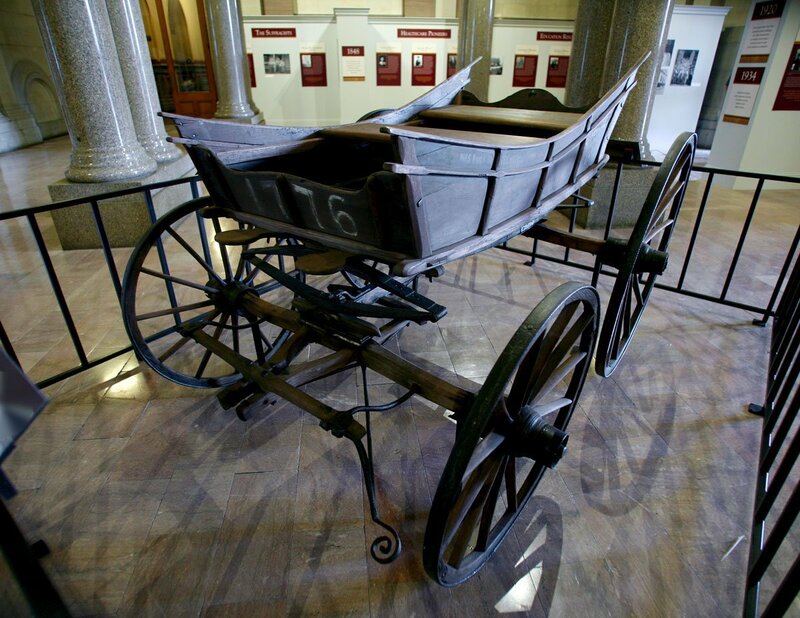 The sturdy wooden wagon on display in the New York State capital last summer was the centerpiece of an exhibit called “From Seneca Falls to the Supreme Court- New York’s Women Leading the Way.” Unheard of in 1776 and unsecured until 1920, the women’s vote has become critical to candidates’ success. The suffrage movement of the early 20th century evokes the stamina and discernment needed to address the overwhelming values crisis that’s challenging the American spirit now. During the second decade of the 20th century, the indefatigable Edna Kearns led the way in New York City and on Long Island, where she promoted voting rights for women wherever an audience could be found. The wagon, called “Spirit of 1776,” was her speaker’s platform. Seeing the horse-drawn vehicle this week in a place of honor among images of the women it served was a reminder of the determination it took to effectuate a right we now take for granted. Voting is a hard-won civil right, not a “privilege” like driving a car or traveling on an airplane, as some politicians would have us believe. Suffragists addressed the injustice of being denied the equality touted in the Declaration of Independence. Today’s crisis is the polite but tacit denial of Americans’ desire for fairness, equality and ecological sensibility by the profit-based values underlying the dominant global corporate system. It’s a series of issues that snag us in the weeds and distract us from the overriding problem: how to regain control of our government and save the planet from destruction by inexorable exploitation and neglect. Audience response was unpredictable when the “Spirit of 1776” hit the road. Crowds threw flowers at the women or tossed insults such as, “Why aren’t you at home taking care of your husband and children?” In Edna’s case, her daughter Serena was often with her in the wagon, and her husband Wilmer marched in the men’s division of suffrage parades. Edna and Wilmer exemplified partnership at a time when it was cutting edge. When Edna went off to conferences and suffrage organizing events, Wilmer answered the phone and suffrage correspondence. Former Woodstock Times editor Marguerite Culp-Kearns, Edna’s granddaughter, donated the wagon to the State of New York ten years ago. In the exhibit, the “Spirit of 1776” and photographs of Edna and the activists with whom she marched were surrounded by panels of accomplished New York State women who forged a path from the Declaration of Sentiments presented at Seneca Falls in 1848 to the diverse Supreme Court of today. The Suffrage Wagon News Channel has been created by Culp-Kearns to build leadership through news and stories of the suffrage movement. Edna Kearns worked on the two New York State suffrage elections in 1915 and 1917. 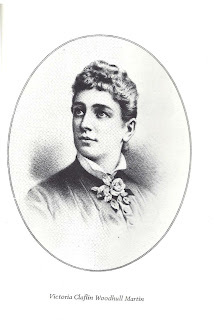 She picketed the White House with the National Women’s Party, served as congressional chair for suffrage leader Alice Paul on Long Island, and supported the civil disobedience of the National Women’s Party in its attempt to keep the issue of freedom and democracy alive, even when the issue became controversial after the outbreak of World War I. Suffragists boldly confronted U.S. President Woodrow Wilson and insisted that the U.S. couldn’t claim to fight for democracy abroad when democracy wasn’t assured for its own citizens at home. Edna’s wagon reminds us that American government requires participation by the people it represents to maintain freedom. One non-violent battlefront this year is in the realm of public education. The contents of the State’s core curriculum is undergoing major revision for the first time since 1996, and the potential results of this process&#8211including the removal of social studies as a subject&#8211are being discussed behind closed doors. “The Education Department hired several people who are working on it in private,” Feinman said in a telephone interview. “We don’t know much about it. They are &#8216-general’ discussions,’” he said. The current standards were established prior to 911 and prior to the election of Barack Obama. adding, “Will the curriculum continue to include global studies? Will we just be handed a document? We don’t know, and there is a lot of concern about it,” Feinman said. utions proposed by the N.Y.S. Council for the Social Studies may or may not prevail at the political level, grass roots community activism is on the rise. This is how the suffrage movement began. Now, instantaneous global communication is fueling organizations like Occupy Wall Street. Women in Black have been protesting war for years in Woodstock and around the country. The Martin Luther King Day celebration in Woodstock in January, with its stories, life size puppets, music and performance art is an exciting example of creative citizenship. Local residents recently marched from Woodstock to Catskill carrying signs calling for freedom of expression and for the reinforcement of civil liberties. Communication is key to sharing the heart’s desire to live our lives in accord with our deeply held values. Spirit of 1776, currently in storage at the New York State Museum, was honored this week with a resolution declaring July 1, 2013– the centennial of the suffrage wagon’s maiden voyage– as “Spirit of 1776 Wagon Day in N.Y.
Photo courtesy &#8220From Seneca Falls to the Supreme Court- New York’s Women Leading the Way&#8221 exhibit webpage. Thank you for revisiting the issue of the common core curriculum for social studies. Since I made those commons following the 2012 New York State Social Studies conference there have been changes and ongoing work in creating the curriculum. Guidelines have now been issued to teacher for comment and hopefully they address the concerns raised in 2012.